The Metalized BOPP Tapes are the tapes made using metalized BOPP film. The tapes are available in different thickness options. These tapes are coated with acrylic water base. 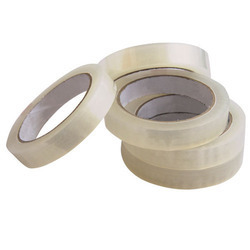 Riding on unfathomable volumes of industrial expertise, we are providing a broad array of BOPP Tapes. 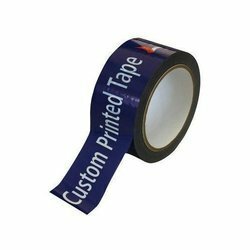 BOPP Printed Tape is used for trademark printing advertising and marketing. Customized printing available. Colour: Transparent, brown, tan, golden, red, white, black, yellow etc.